BROWNSBURG, Ind. (July 2, 2013) – Racers are known for exceptional memories when it comes to what they’ve done on race tracks, and Capps recall keeps getting challenged by time. But it didn’t take long for him to recall his first race in NHRA professional competition. “I beat Joe Amato at Phoenix,” said Capps, who will start his 400th NHRA pro tour event Friday at Summit Motorsports Park at Norwalk, Ohio. Since then, Capps, 48, has won 487 eliminations rounds and 39 NHRA Mello Yello event titles including 25 in a Funny Car since he joined Don Schumacher racing in 2005. The native Californian who lives near San Diego doesn’t look his age or drive like it. 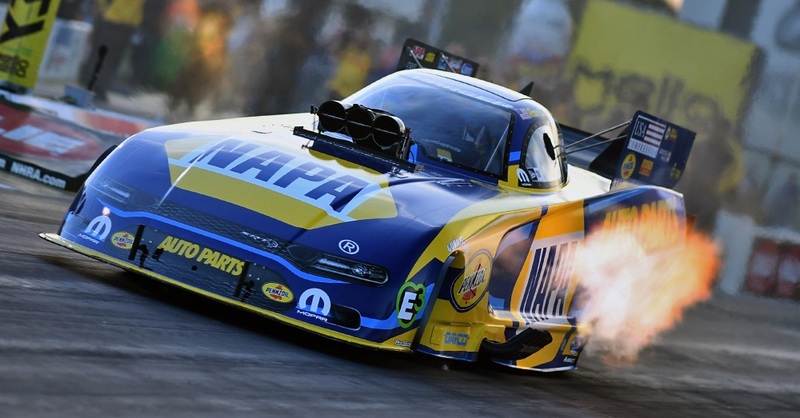 Capps, who has one title this season and is ranked fifth in points, with crew chief Rahn Tobler and assistant John Collins unleashed the third quickest Funny Car run ever with a time of 3.988 seconds on Saturday night at Route 66 Raceway near Chicago to earn his first No. 1 qualifying spot of the season. 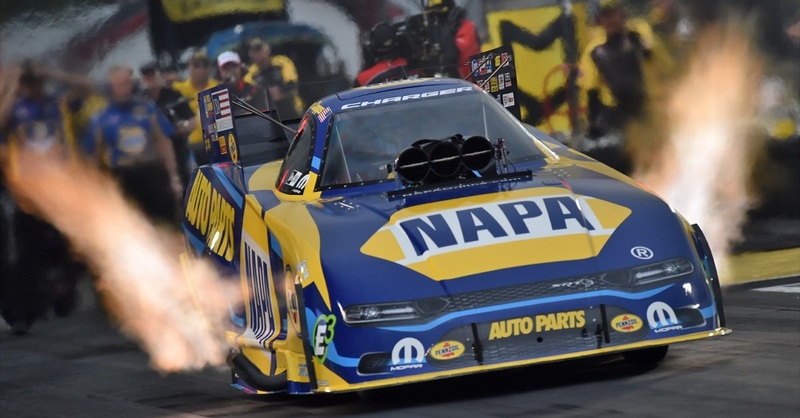 While the NHRA Mello Yello Series nitro teams enjoyed ideal weather conditions in the cool air, Capps knows that won’t likely be the atmosphere his NAPA Batteries/Intrepid Fallen Heroes Fund Dodge Charger R/T team will face beginning Friday at Summit Motorsports Park at Norwalk, Ohio. While temperatures forecast for Norwalk are unseasonably to be in the low 80s, Joliet weather was cooler. 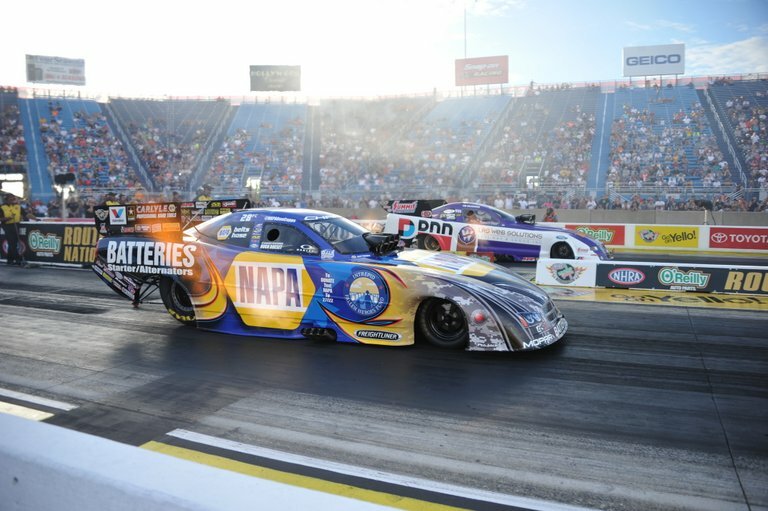 Capps and his team recorded the quickest ever Funny Car run a year ago at Englishtown, N.J., in May with a time of 3.964 seconds at 320.89 mph. While milestone runs are nice, Capps is most concerned with winning elimination rounds on Sundays. The Norwalk event marks the first race of the second half of the 24-event season in the Mello Yello series. 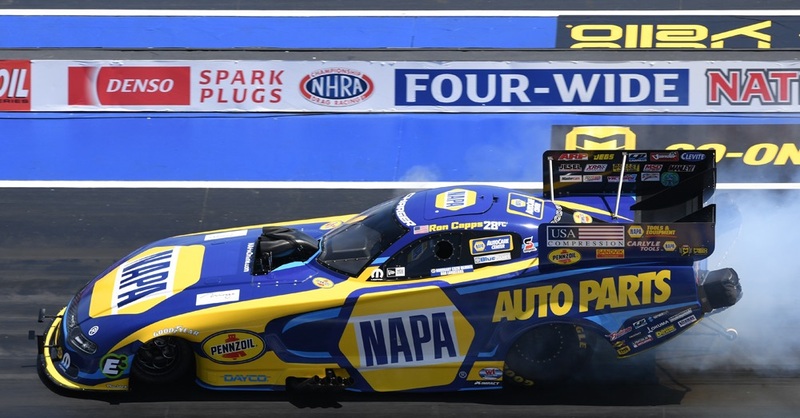 Capps took the NAPA Dodge to the semifinals at Joliet for the fourth time this season. His racecar is getting back to the form it showed at the start of the year when it was runner-up in the opener at Pomona, Calif., and followed a week later by winning the event the following week near Phoenix. Capps also is looking forward to this weekend because it will be the second straight event when his Dodge carries NAPA’s month-long “NAPA Get Back and Give Back” effort for the Intrepid Fallen Heroes Fund to support families of U.S. military personnel lost in service to our nation, and for those severely wounded in the performance of their duties in Afghanistan and/or Iraq. Also carrying the Intrepid Fallen Heroes message this weekend will be his NAPA AUTO PARTS teammate Martin Truex Jr., who will race a similar paint scheme on Saturday in the NASCAR Nextel Cup event at Daytona International Speedway. 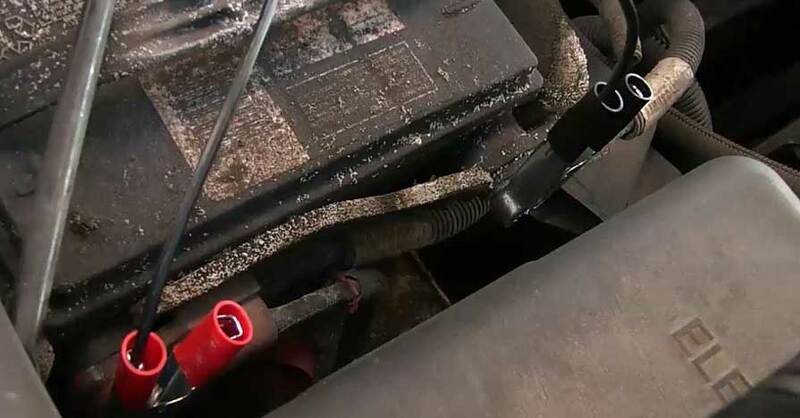 Beginning Monday, July 1, the NAPA Get Back and Give Back program began offering customers great savings on the purchase of a qualifying NAPA battery, alternator or starter, and the opportunity to contribute a portion of their rebate to the Intrepid Fallen Heroes Fund. NAPA will donate $1 to Intrepid for every qualifying rebate redeemed by consumers in July, and NAPA also is encouraging the public to donate $10 – no purchase is needed – to Intrepid by texting the word NAPA to 27722. Visit NAPAonline.com for more information and other ways to help Intrepid Fallen Heroes Fund. Join us at Summit Motorsports Park in Norwalk, Ohio, to cheer on Capps and the NAPA Batteries/Intrepid Fallen Heroes Fund Dodge Charger R/T. Or, watch the racing action on ESPN2. Last event (June 30, Joliet, Ill.): Qualified No. 1; lost in semifinals to John Force. A year ago at Norwalk: Qualified No. 4; lost in second round to Bob Tasca III. Career at Norwalk: Wins 0; Runner-ups 1 (2011); Poles 0. 2013 FUNNY CAR WINNERS: C. Force, CAPPS, GRAY, C. Pedregon, HAGAN, C. Pedregon, GRAY, GRAY, HAGAN, J. Force, C. Force, HAGAN.